Handmade raw silk has imperfections and flaws. The handmade quality and imperfections add to the charm of this item. Silk and should be washed by hand or dry cleaned. 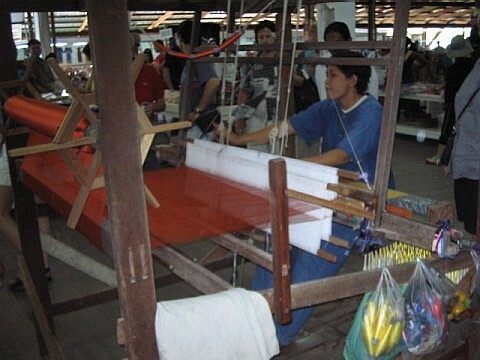 As much of the handmade silk is a cottage industry done throughout the villages of Thailand, dyes may not be consistent or colorfast. These items are sold "as is" because of the natural flaws occurring in the silk. Pictures appear differently on different monitors and silk looks different in different light. They are truly beautiful and reflect good craftsmanship. Because of the nature of this handmade silk please email with any questions before purchasing silk.